Goldfinch Entertainment represents the gold standard in entertainment and media investment. As Executive Producers on all projects, Goldfinch structure each in a bespoke manner, selecting only the most commercially appealing with the best returns following strict due diligence for individuals looking for EIS & SEIS investment opportunities. Goldfinch Entertainment was founded in 2014 by managing director Kirsty Bell, who is both a Chartered Tax Advisor and Film Producer herself, this combined expertise has seen her focus on the structuring of film companies and their finance raises, including SEIS and EIS, together with advising active partnerships and sole traders in the creative industries since 1996 – a period in which she has raised over £200m for the industry. The team at Goldfinch Entertainment have formidable experience across a range of industries. They span finance, tax, legal and business affairs, sales and distribution, producing, directing, marketing, strategy and have over 60+ years between them within the sector. Creative industries are now worth £76.9 billion a year to the UK economy. UK entertainment industry is predicted to grow annually by 3.1% until at least 2018. Demand for British television and film content is high across the globe. 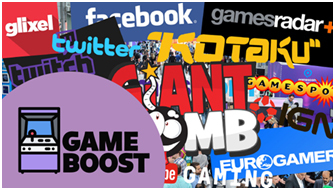 2015 and 2016 was a dramatic year for British video game producers. UK’s position as the global theatre capital is ongoing. UK government support of the sector is large and increasing. The Goldfinch EIS Fund and its innovative structuring offers 70% downside protection for investors and puts them ahead of other funding in the recoupment of profits. This comes from negotiation and in the form of Government Tax Credits, Unsold Territories, Presale Agreements and Minimum Guarantees. With a targeted return of £1.25 excluding tax relief this offers investors an intelligent and potentially profitable way to invest in Film & TV productions. The Goldfinch SEIS Fund looks to spread investors risk across a number of qualifying investment opportunities in the UK’s entertainment industry. This is split 1/3 Film, 1/3 TV and 1/3 Video Games. Each underlying SEIS company must have passed Goldfinch’s due diligence process with a clear route to market and recoupment in place for investors to achieve the mean targeted return of £1.25 excluding tax relief. Goldfinch projects have attracted increasingly impressive talent, including Orlando Bloom, Bill Nighy, Sir John Hurt, Charles Dance, David Tennant, James Buckley, Brian Cox, Helen Baxendale, Martin Freeman, Anthony LaPaglia, and Hayley Squires. 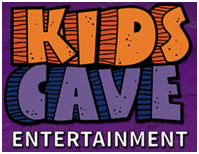 KidsCave is an Intellectual Property (IP) Development Company with the sole focus of creating globally appealing character-based children’s entertainment brands. The producer and animator approached Goldfinch with a slate of potential kids’ animation for TV, which, when initially reviewed, was turned down as Goldfinch require projects to be relatively well developed to reduce the risk when investing and to enable the investors to see where the onward sale lies. The client returned with a revised slate which included a highly developed IP called ‘Robozuna’ which already had substantial interest from 3 TV commissioning bodies. The caliber of the team and project ensured it was a commercial proposition. A commission from two major broadcasters was secured in December 2016. The raise of £150,000 was concluded in two weeks in the 14/15 tax year! The investors have recouped on paper plus 25% with an exit in the pipeline for December 2017. Le Mans 3D is an epic ground-breaking cinema documentary from the talented team at New Black Films. New Black Films is one of the world’s premium sports theatrical producers and has extensive experience in bringing sporting stories to the big screen. The project, which was originally shot as a film, was sold to Amazon for them to re-cut it in to a TV series and badge it as an ‘Original’ on their Prime platform. It also received a theatrical release through VUE cinemas. Focusing on eventual winners Porsche and including Formula One legend Mark Webber, the Rebellion team headed by Nico Prost (son of F1 great Alain Prost) and maverick rookies Nissan, with their PlayStation trained driver, the film unpicks the drama and psychology behind the race, as well as the spectacle of motor racing on a scale never seen before – it pushed the envelope of what is possible in both documentary and 3-D.
Games Boost Limited is a unique marketing service for indie game developers, offering smart and focused game promotion packages in exchange for payment or profit share. 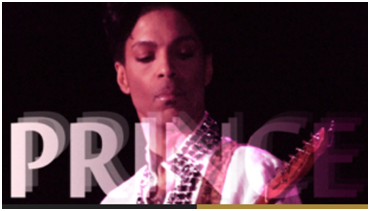 Development and production of a feature documentary called ‘Prince – The Artist Formerly Known As’ about the popular icon Prince.